You will be hard pressed to find another piece of fitness equipment that can give you the full body workout that you will get from using a rower. You can use a rower to engage all your major muscle groups and work both your upper and lower body at the same time. It’s no wonder that more people like you and me are looking around the Internet trying to find a suitable rower to buy. There are so many things to consider when buying a rower and so many different models of rowers to choose from that it can sometimes be confusing. I have put together this handy little buying guide to point out all the important things you need to look at when shopping around for a rowing machine. I really hope that it helps you to find your perfect rower. Rowing machines come in four main types of resistance systems: air, water, hydraulic piston and magnetic. All four types have unique benefits and features that people who row will find useful, depending on their individual requirements. Air resistance rowers are commonly found in fitness centers and they are known to give a smooth, natural rowing stroke. The most loved feature of water resistance rowers is the life-like rowing experience that they normally provide. 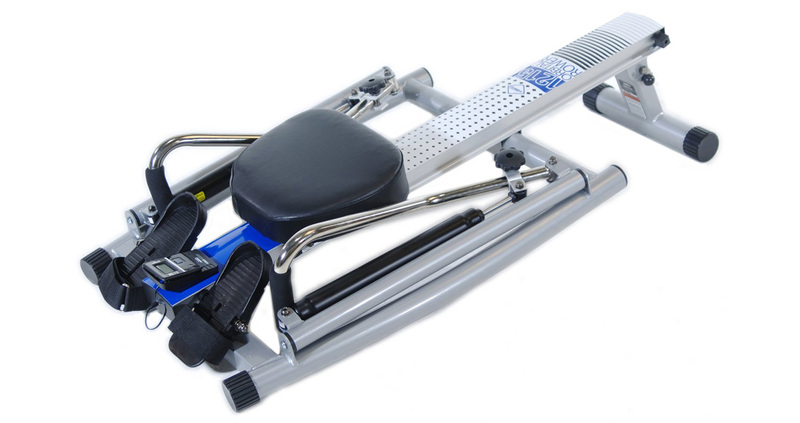 Magnetic rowers are normally very quiet, easy to maintain and deliver a smooth rowing motion. 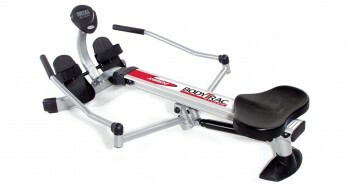 In terms of price, Hydraulic resistance rowers are usually on the more affordable end of the scale. They are also compact and easy to store. Which type do you think will work best for you? I have my eye on the WaterRower Club because of the realistic rowing experience that it delivers but I am also considering the Sunny Health & Fitness Rowing Machine with Full-Motion Arms because it give so much value for money. There are so many great options to choose from! For more details on each type of resistance please see my article here. Unless you have a very large, personal home gym, you will have to be aware of the amount of space you have to workout in and also the size the rower that you want to get. 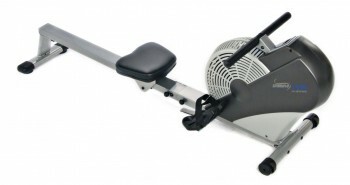 You will need to choose a rower that can comfortably fit into your defined workout space. Rowers are typically longer than most other exercise machines so you will need to take this into consideration as well. Ideally you should take measurements of the dimensions in your desired workout space and match them up against the dimensions of the rower that you want to see if it will fit comfortably in the space. You should also have enough room for your hands to move freely when you are rowing. It’s also a good idea to check the dimensions of your intended storage space to make sure that the rower will fit there as well. I would also like to mention here that if you are taller than the average person you should look at rowers with longer seat rails as your legs will need a little more space for you to fully extend them when you are rowing. You should carefully examine the fitness goals that you want to achieve with your rower before you buy one. Some rowers are better suited to help with certain fitness goals than others will be. For example, if you want to tone your muscles and make them bulkier, you will be better off with a hydraulic rower as this type will let you choose different levels of resistance. If your goal is to lose weight most rowers will be able to help you. There are also rowers with preset programs that can be helpful in setting and reaching new fitness goals. Another thing to consider here is how many people will be using the rower. Some rowers are not strong enough to handle heavy-duty use. The weight of the people who will be using the rower is also a factor. 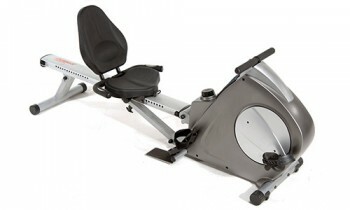 Make sure that everyone who will use the rower falls within the manufacturers recommended weight range. Failing to do so could result in your warranty becoming void and nobody likes that. Most rowers will come with a monitor but some will be more advanced than others. Whether you should get a rower with a high performance monitor or just a basic one is purely a personal preference. A basic rower monitor will display workout data like your distance, time and speed. More advanced models will include features like heart rate monitoring, a calorie counter, racing games and/or preset programs. Unless you know that you will actually use the additional features, I would not suggest that you make them a top priority when choosing a rower. There is no sense in buying a rower based on the bells and whistles that is has only to leave them unused. Besides the fact that rowers with more advanced monitor features usually cost more, a rower will generally give you a good full body workout regardless of the information on the display. For more detailed information about rower monitors see my article here. There are some other key features that I recommend you check for on a rower that you are considering to buy. Any features that can make the rower more comfortable (or uncomfortable) such as the seat, the handlebar and the footplates should not be overlooked. The seat and handle should preferably be padded and the footplates should ideally pivot to make them more comfortable. You will also want to look at things like the height of the seat, especially if you are tall or have mobility issues, as a low seat may be more challenging for you to sit down on. 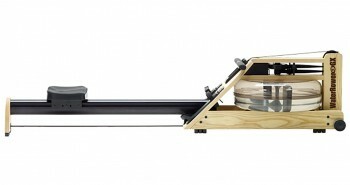 The ease with which you can fold a rower and move it for storage is also important. If you choose a heavier model be sure to get one that also has wheels so that you don’t risk hurting your back while moving it. There are a few easily recognized rower brands that may be tempting to buy just because of their long-standing reputations. 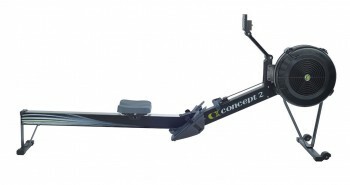 If you are familiar with rowing you may also be familiar with brand names like Concept2, Stamina and WaterRower. There are always new brands emerging that bring new technologies and innovation to the rower market. Don’t be tempted to choose a rower just because of its brand name. You still need it to be able to meet your fitness needs. Check all the features and dimensions to make sure that it will actually work for you. And checking the fine print on the manufacturers warranty is also something I would suggest that you do. When you take all these factors into consideration you are sure to find the rower that will work the best for you. Don’t succumb to the desire to buy the first rower that you see in your haste to get a rower and start rowing right away. Take the time to do some research first. You will be happy that you did. As you are already reading this article I can see that you are already taking the time to gather information and this can only lead to you making a better choice so thumbs up to you!